I’ve come to the conclusion you can never have too many hats for a child. Now that the weather’s warming up and we’re spending (much) more time at the park, I think we might need a few more for everyone – one for each car and one for the house. And then maybe an extra for when those get lost! 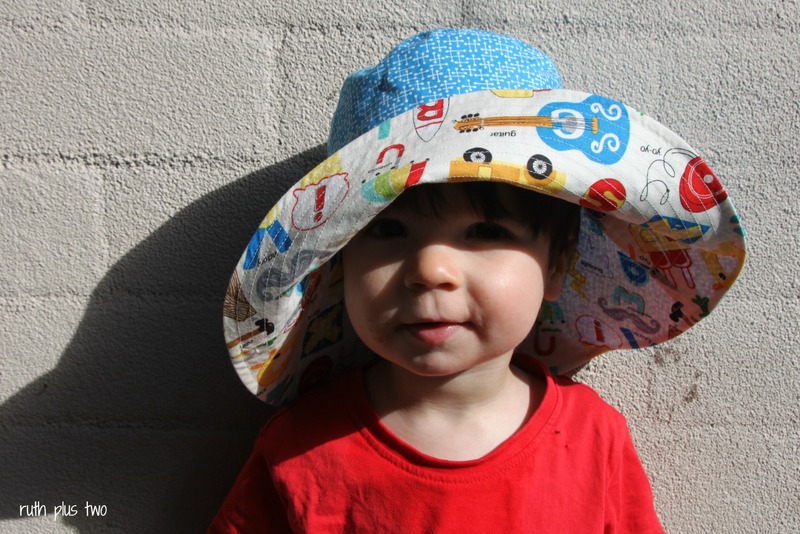 I’ve sewn the oliver + s bucket hat before (here and here…pattern available for free here). It’s an easy enough sew if you pay careful attention to keeping accurate seam allowances. For a neat finish you need the patience to edgestitch carefully and stitch the rows on the brim evenly. The fabric is from the ‘Apple Jack by Tim and Beck for Moda’ range. Hugo’s head circumference is about 19″ – the exact size of the small size – so I decided to sew the medium. It’s way too big. Agh. One thing I don’t love about this pattern is that the brim is not very wide. 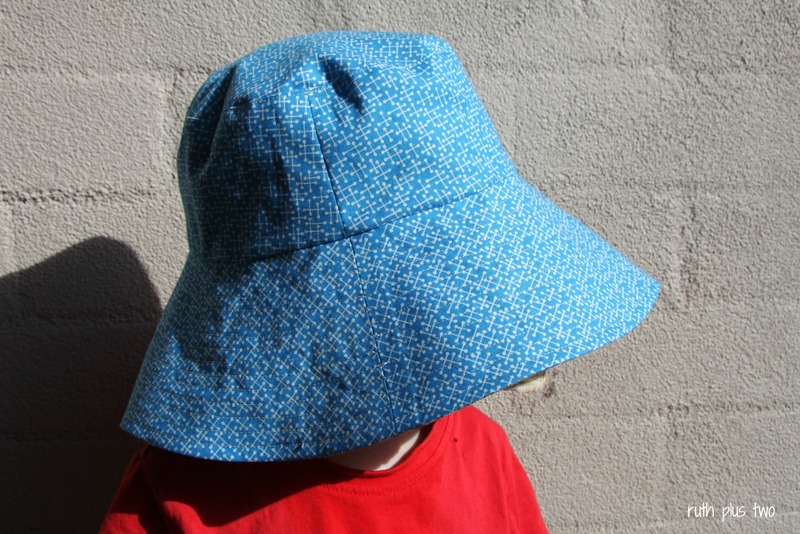 I’m always mindful of the sun, so it doesn’t make much sense (to me) to have the kids wearing hat which don’t really protect their skin. As an experiment, I widened the brim pattern piece by 1.5″. On Hugo, with the medium being too big anyway, it’s definitely too wide. I think he needs a small size, with an extra inch on the brim. He loves this hat, though, and has insisted on wearing it all morning. 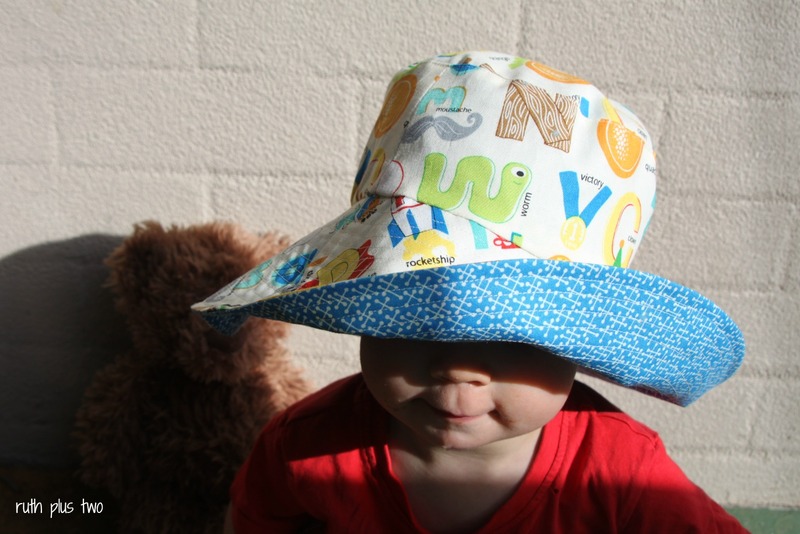 I think I might sew an identical one, do a switcheroo…and keep this one for next year! 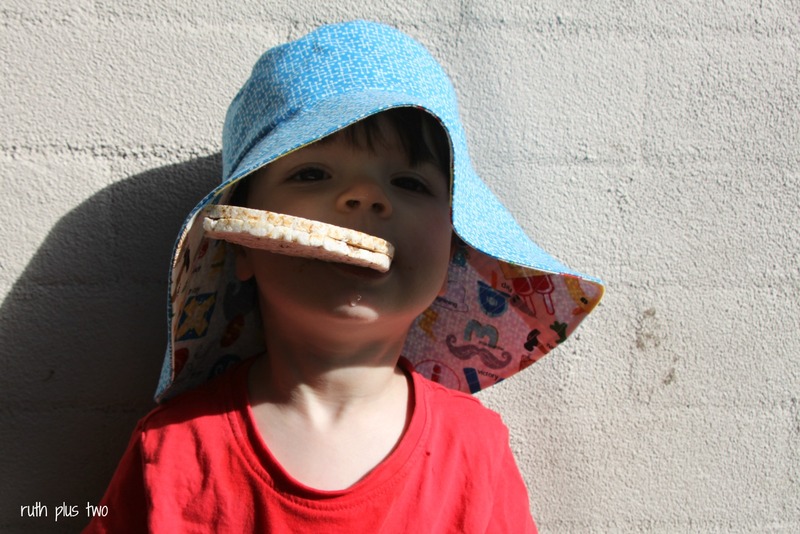 This entry was posted in clothes for children, creating for boys, Kid's Clothes Week, oliver + s, sewing, stash. Bookmark the permalink. Well he won’t get burnt. I love it. It’s not your fault his head is too small. hehe what a sneaky plan to switch the hats 😉 I need to make a new one for LM. The one I made last year was a bit wonky (first go at making a hat) and is now too small anyway. I will make the brim wider, too!